I get it, but it’s still okay to love Superman! Since his debut in Action Comics#1, Superman has always been a beacon of hope sharing a storyline similar to Jesus Christ. He was written to embody everything that is good in the world and to be an example of down-home American raising a god to be an upstanding moral figure. He is powerful, yet fair, charismatic, but humbled and capable, yet fallible when confronted by the frailty of humankind. In summary, Superman is everything that most people have aspired to be over the decades. Since the end of the 80’s, the character of Superman has been on the decline. Issues were not selling as quickly anymore, and few new cartoons were being produced that featured Superman, or his reluctant partner in justice, Batman. Most connoisseurs of the comic medium have broken it down from the sheer boredom of the character to recycled storytelling. All of which is very true, but I believe there is a much deeper meaning behind the mixed bag that Superman has become. 1986 was a critical year for DC comic fans with the release of The Dark Knight Returns. This series would completely change the tone for both the characters of Batman and Superman. Batman would no longer be the billionaire Bruce Wayne that everyone knew. Here you have a tough-as-nails, older and an even more bitter character than we had ever seen before. Batman was now a real anti-hero, willing to defy the authority of the government and bring the pain to the villains of Gotham City. Then along comes Superman who has become so consumed with his role of savior, that he barely realizes that he has inadvertently become long arm of an oppressive government. It was the first time we got to see Superman as the villain in a story. Although he is not evil or diabolic by any means, his nature is turned against him for the right reasons and in the process he forgot his mantra of truth, justice, and the American way. The Killing Joke would come two years later, and Batman cemented himself as the edgier hero in DC’s Showcase. The first of the Batman films released around this time and America was instantly hooked on the masked vigilante. This new breed of comic book action combined with the failure that was Superman IV: The Quest for Peace, was the stake in the heart of the Last Son of Krypton, and it would stay that was for many years to come. 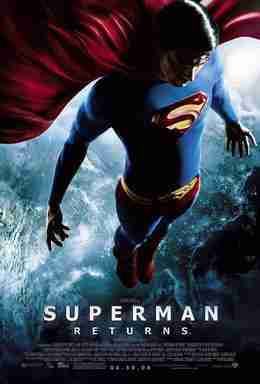 Although not considered a success for Superman, it is not a bad movie. As a fan, I believe there is no way to recapture the magic of the first Richard Donner film. It had the benefit of the best director, best screenwriter, and the best cast. Superman Returns was less of a superhero movie and more of a thank you card for Richard Donner from Bryan Singer. Unfortunately, we live in a different time where having a good story is important, but a good story plus action is what gets attention, which is why the Marvel movies tend to do very well. I admit that I am very fanboy when it comes to these movies. I do see its many flaws, but the potential to be something better is lingering under the surface. I like everyone in it and even enjoyed the plot. The one thing I find utterly unforgivable about this film is in the way they attempt to make Clark Kent out to be an angst-ridden emo child for so much of the movie. It is painfully clear to anyone that knows the character of Superman that Christopher Nolan and Zack Snyder do not care for him, nor do they wish to build on his best qualities. Too much drama, self-pity, and misplaced anger permeate these films, and the story suffers for it. 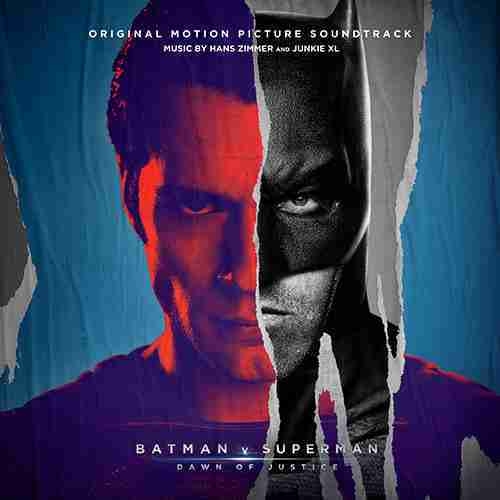 Everything about BvS has a more positive view of Batman and a demonization of Superman. While the two characters have fought in past stories, the ability for both of them to bring out the best in the other has been what makes the World’s Finest some of the most popular stories in DC. BvS has none of the positivity that the Batman/Superman dynamic brings to the table, and the critical reception of it is proof. People may not like the Man of Steel like they used to, but they hate him when they try to make him like Batman. Am I blaming the writer and director for these failures? No, they are merely products of the same jaded society that causes them to sympathize more with the Bruce Wayne/Batman character, despite him having similar origin story with Clark Kent/Superman. We have all lost hope. Is there a future for Kal-El of Krypton, or has his time come and gone? To be cliché, I still think the world needs Superman, but I understand why they believe that it does not. We live in a time where people have become disillusioned with concepts like truth, justice, and the American way. Many people have forgotten or rejected the ideas that came with the motto. We have become plagued with misguided exceptionalism and fed a diet of hopelessness from those we look to for leadership. Characters like Superman seem like a pipe dream of grumpy old men sitting in their favorite chair complaining about the youth of today. Maybe it is my optimism that keeps Superman at the top of my list, or maybe it is my firmly held belief that anyone can come far away and make a better life for themselves. No matter how jaded a society we become, there is always room for a Superman in it. Who is Eddie Jakes? Well, I’m a Navy brat born on the submarine base in Connecticut and have lived there my whole life. In typical New Englander fashion, the desire to write and create worlds was as strong as the force. It all started with serialized stories for elementary school and progressed to regular games of Dungeons and Dragons. Life would take me in a lot of directions between those days and the publication of my first novel. I have been a salesman, a warehouse worker, and a DJ at parties all over the New England rave scene. Now I’m happy to be working at my real passion, which has only just begun. My favorite genres are horror, fantasy, thriller and sci-fi with a little suspense thrown in. Aside from writing, I also enjoy politics, reading, spending time with friends and family, as well as producing other content for the web.